This is a dessert that's available only in season and it's worth the wait! 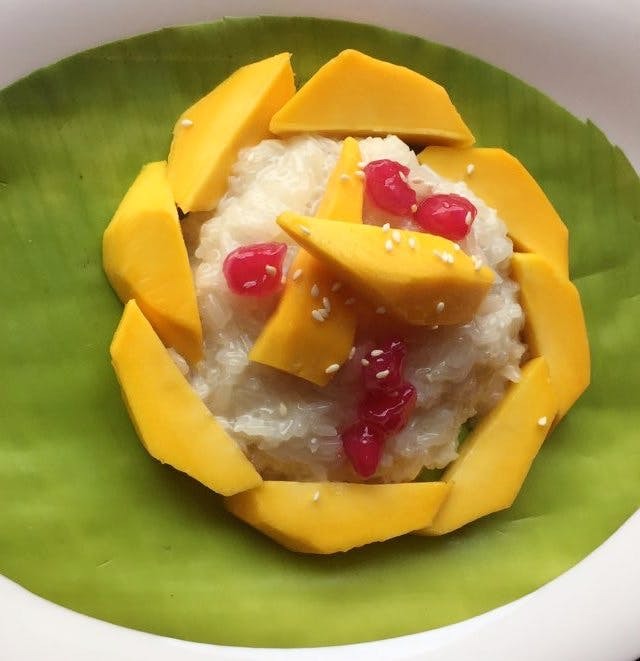 Thai sticky rice with fresh mango and sweetened coconut milk makes for a fresh and delicious end to a spicy Thai meal! In an ideal world this could be available all year round but I guess seasonality makes it more desirable. Ask for extra coconut milk and I suspect they use real coconut cream because the consistency is nice and rich. Since you're already there have a hearty Thai meal before you indulge in this super summery dessert.